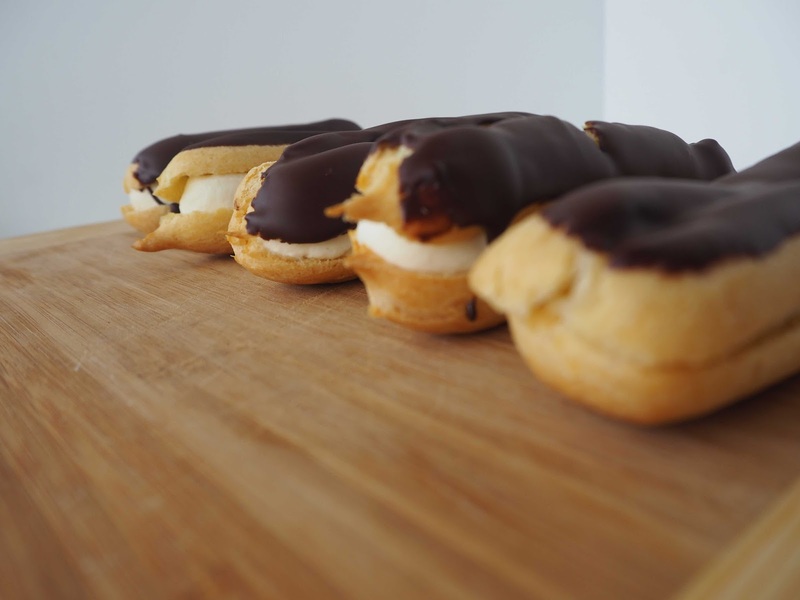 In all my years of baking experience, I haven't made choux pastry since high school. 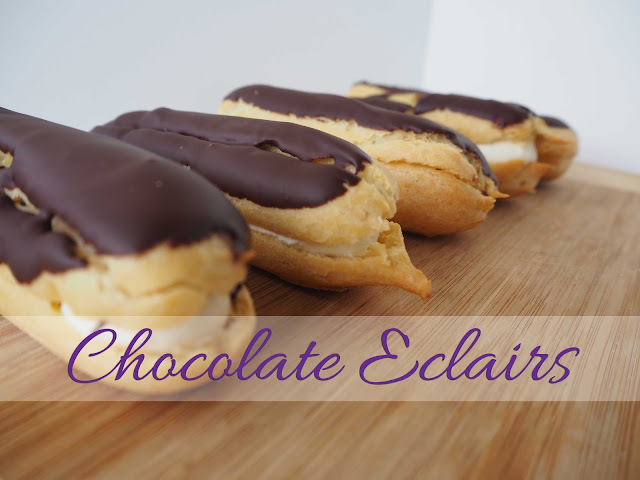 Even though I love chocolate eclairs, it's just not something I ever thought of making at home. That's why I put this week's bake off in the too hard basket until today. 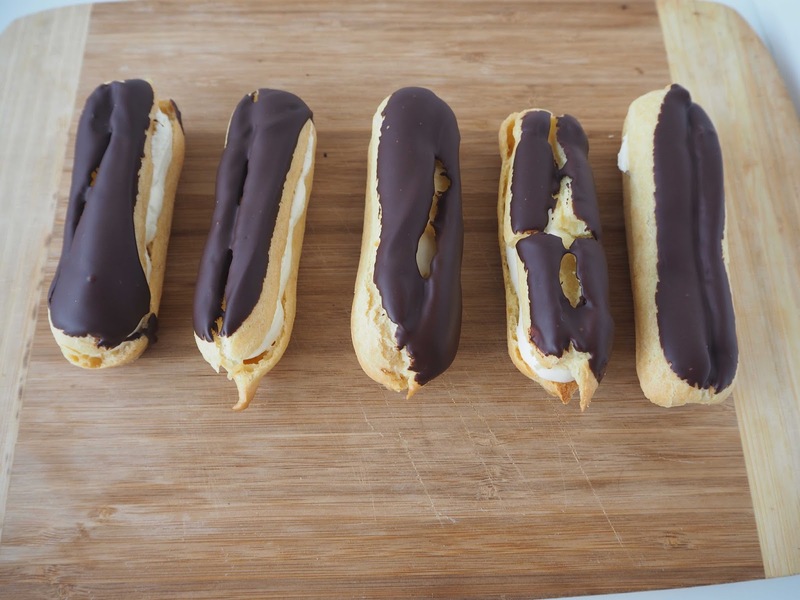 In fact, I've whipped these up this afternoon, in the time between Sophie waking up and the kids getting home from school. And the longest part of the process was the actual baking time. As you can see, they're a long way from perfect. I think I had air bubbles in my pastry bag. And finding a recipe that had good reviews was actually quite difficult. I went with a recipe that had two reviews (versus some with fifty or more), so statistically the chances were high that the recipe wouldn't work.